Here are some ideas that will help leaders better serve their boards and organizations by providing visionary, strategic leadership to the board within the parameters of good governance. Senior staff leaders need the right to speak at board meetings if they are to provide organizational leadership. Since the board wants them committed to the ministry’s mission and to organizational success, staff leaders must ‘own’ the directives that come from the board. It should never be an “Us vs. Them” scenario, but a partnership where staff leaders can speak of the board-staff relationship as “We.” The more that leaders participate in the development of board directives, and the more they feel they have truly been heard, the more they will take ownership of the board’s decisions. Another benefit of having the staff leader at the board table is that they have much to contribute to board discussion. They were hired either because of their professional expertise in the ministry’s business or their ability to lead an organization, and the board should benefit from their knowledge and skill. Staff leaders are also immersed in the affairs of the ministry, living close to its activities and making it their business to be intimately aware of all of the major factors that could affect its success. In short, this person is an expert the board cannot afford to leave on the sidelines. The ministry’s bylaws or constitution should therefore provide that the senior staff person has the right to attend and fully participate in the discussions of all meetings of the board and its committees, except for matters that would be a conflict-of-interest (such as the compensation and performance review committee). 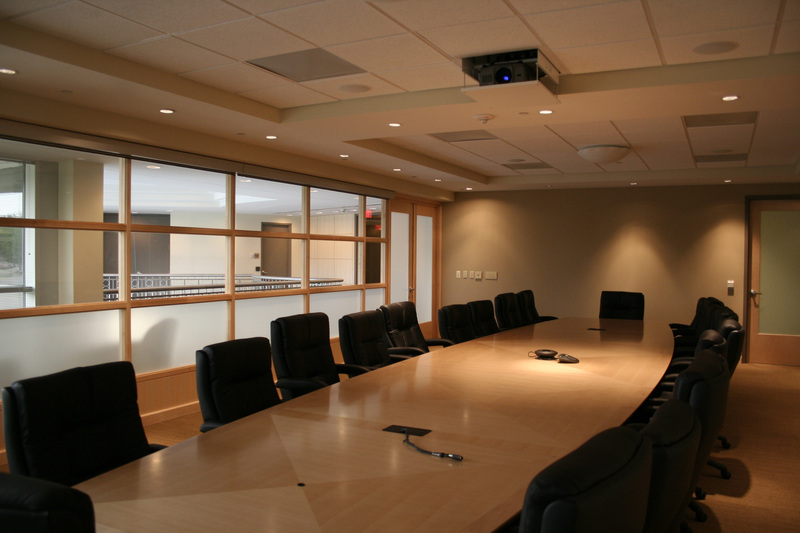 This ensures that the pastor or executive director is able to speak to all issues that come to the board and present their perspective. The board is responsible for its own work and should not be subservient to staff. However, the board and staff together are responsible for accomplishing the ministry’s mission, so it only makes sense that staff contribute to setting the board’s agenda. This is part of the board-staff dialogue. The board speaks to staff through policies and motions, while the staff speak to the board through reports and assistance with setting the agenda. Only board business should be on the agenda, of course, but the staff are in a great position to know what the board should be spending its time on, based on their knowledge of risks, trends, opportunities and other factors that could affect the ministry’s future. Agendas should be developed by the chair with the support and advice of the senior leader. The staff leader should always be thinking about what issues the board should be aware of and which ones need board discussion. From time to time boards should invite the senior staff leader to have a ‘fireside’ chat with them. Leaders can use this opportunity to share with the board their dreams and concerns, to paint the picture as they see it of the organization’s future, all without the pressure of having to pass a motion or approve anything. These meetings are like background briefings, helping the board to understand the context in which the staff are working. This type of meeting gives the leader a ‘sounding board.’ The board can consider this meeting as a consultation with a stakeholder. Many times with volunteer boards, it is the staff leader who provides the corporate memory for the board, and the leader should also watch to ensure that the ministry’s values and culture are respected by the board. The board will benefit from leadership in these areas. Many leaders who are not directors fear that the board will slow them down by process or by second-guessing their decisions. This does not have to happen, and when it does, it might be the leader’s fault. If leaders keep the board fully informed about their intentions, listen to the board and understand its concerns, and do their due diligence before going to the board, staff proposals should get a good reception and a quick answer. The key is that both staff and board are thinking alike in terms of mission, risk, strategy and vision. Good planning leads directly to fast action. If the trust level is high enough, the board might be willing to delegate more authority to the staff leader and further speed up the decision process. Boards sometimes become paralyzed due to a negative political climate, or because of an ineffective governance model or a model that no longer fits the circumstances. The way forward in cases such as these is to do board development. Staff leaders can take the initiative and suggest books or consultants that might help directors see a brighter future. It is in the leader’s own interest to have the best board possible, and leaders should do whatever they can to help their board become a model of governance excellence. The board’s role in strategic leadership is best described by Richard Chait, who wrote in Building Effective Boards for Religious Organizations: A Handbook for Trustees, Presidents, and Church Leaders that “No governing board can, in effect, spin the whole intricate web that constitutes organizational strategy….The board is best positioned to ensure that organization leaders think strategically and devise an organizational strategy in the first instance. At a basic level, the board can gauge whether the plan contains the elements of an identifiable, consistent, competitive, and realistic strategy….The board is also well positioned to evaluate whether the plan makes sense, both literally (Is it understandable?) and conceptually (Is it viable? )….The board leads largely by questions and not by answers….The board can constructively challenge the executive and senior staff to articulate the plan clearly, explain their reasoning persuasively, and confront squarely the plan’s feasibility, including its downside and its blind spots. In particular, the board should assess whether the plan serves the long-term welfare of the organization as a whole or the short-term indulgences of various constituents….Boards are not well designed to conceive, draft, or edit strategic plans. Instead, they should ask questions, examine the data, express concerns, state objections, suggest alternatives, and when necessary, ask the chief officer to return with a better plan” (pages 161-62). Chait’s solution keeps the board in charge, exercising its fiduciary duty, while allowing the expertise of staff to guide the ministry’s strategy. Staff remain accountable to the board, but take the lead in suggesting what the strategy should be. Together, the board and staff create the ministry’s strategy. The board should have an opportunity to contribute to the leader’s thinking before the planning process occurs. This could be done at a board-staff retreat or at a regular board meeting that discusses strategy. The leader can then consider the board’s issues and suggestions as the plan is developed. A leader who does not accept the board’s authority is not likely to get far with the board. Rarely does a staff leader show outright disrespect for the board, but far more often their disrespect shows up in more subtle ways, such as not having all the board information out for pre-reading, not giving the board valid choices to consider, and not advising the board of negative information. Staff leaders need to accept that the board is responsible for approving the strategic statements (i.e., vision, mission), for determining the strategic initiatives, and for ranking the strategic priorities by approving the strategic and annual action plans. The board is also responsible at law for the assets and mission of the ministry. In essence, the board is like the Canadian Senate: a chamber of sober second thought. Follow board procedures and don’t use the old adage, “It’s easier to ask for forgiveness than for permission.” This is highly disrespectful of the board! A leader who has internalized the mission and lives a life that manifests the best of what the ministry is all about. It really helps the board have confidence in staff leadership when the senior staff leader thinks like a director. Boards will have fewer worries when they know their interests and concerns are being addressed at the staff level without the board having to intervene. Ministries will thrive when staff and board work together, respecting each other’s roles. Staff provide visionary leadership and boards provide them with an accountability partner that protects the organization and its mission. Do you have any comments on this post? Why not leave a comment! I have just finished reading your article, “Staff Leadership at the Board Table”, in the most recent CCCC Bulletin. Having taught leadership type of courses for the U of T for more than a decade and having served on the Governance Committee of the Canadian and Ont MB Conferences for several years, I found it very helpful and informative , as I have found most of the articles in your bulletin over the years. I think the CCCC does excellent and much needed work. At the same time I found your use of the word “leader” or “leaders” in the article confusing. Its use seems to imply that only staff can be leaders. Volumes have been written and said about leaders and leadership, especially in evangelical circles in the past 3-4 decades. Much of it useful, some of it harmful. During those decades the use of the word “governance” has been almost totally absent and often unknown. That has been problematic. My synonym for leader is “positive influencer” and I have wittnessed people in all ranks from custodian to CEO being positive influencers. Thus a board member may also be a leader. Replacing the words “leader” and “leaders” in your article with “staff” or “senior staff” , which you do in some places, would allow both staff and directors, as well as others, to be seen as leaders. Thanks for your comments Peter. I’d love more discussion about terminology. Everyone can lead, in formal leadership positions or in informal roles, and at the same time everyone must also be a follower. So I am always a bit hesitant to refer to “the leader” when I write about leadership, as if no one else leads and as if they are only a leader and nothing else. And you are right – the board leads too. So here’s a challenge for everyone. What do you suggest as a handy term to refer to the senior staff leader when you are referring to the person who holds the position of organizational leader? I sometimes use “pastors and executive directors,” “CEO’s,” or “senior staff leader.” Some people refer to “Senior Staff Officer.” Let’s get some other ideas. The point is that the term should apply equally well to church and Christian agency leaders, and not be too much of a mouthful. I agree! Great article- I too was confused about the terms. Clarifying up front and sticking with those definitions would have helped.